Today is the day! 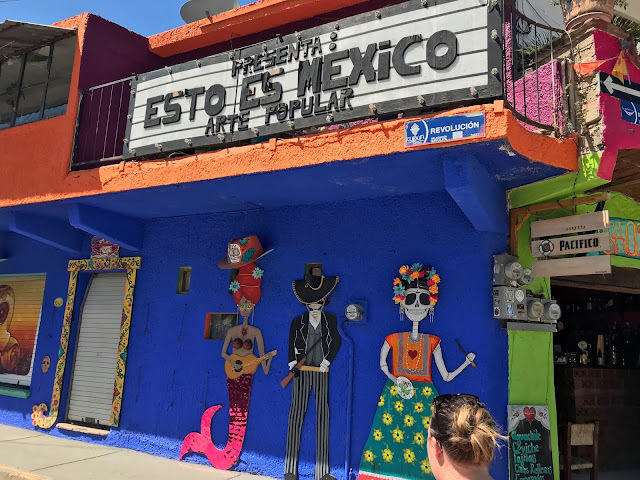 I am finally sharing part 3 of our trip to Sayulita, Nayarit, Mexico. If you missed them, Part 2 is here and Part 1 is here. This post is a long one, so sit down, get comfy, and get ready.. here come the pictures! Ha! 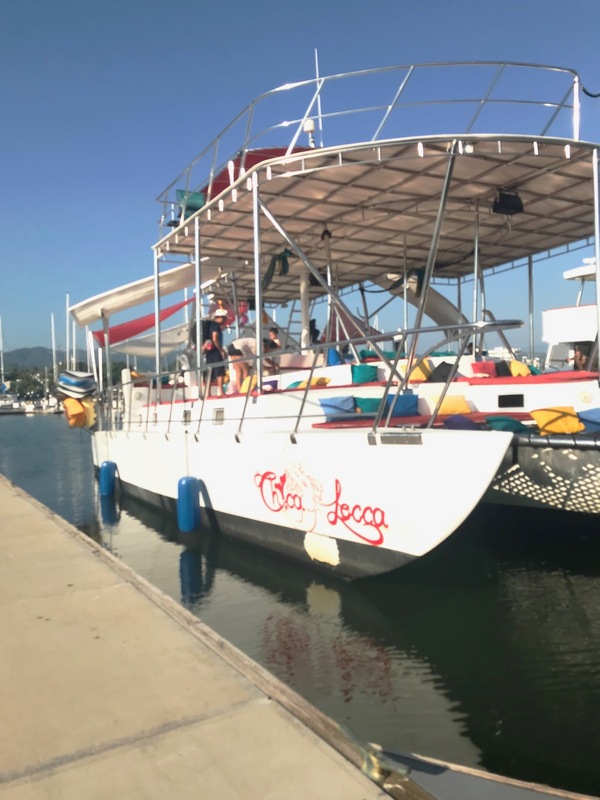 Our last full day in Mexico was spent aboard the Chica Locca! We arrived at this boat at 8:20 am and sailed and explored until 6:30 pm. It was a long day, to say the least. 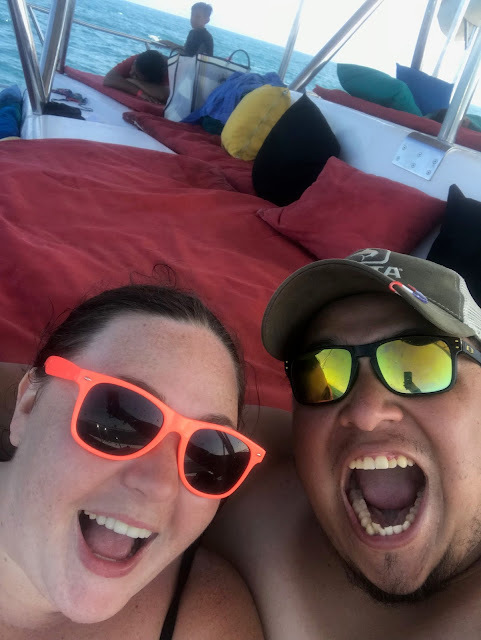 When we originally found out the dates we would be in Mexico, we decided we would extend our trip, and do more than just attend the wedding we were there for. This was partly because, why not!? and partly because it fell so close to our own wedding anniversary. 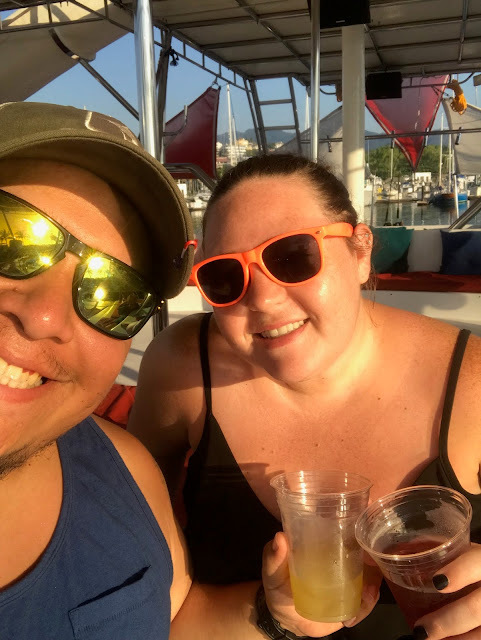 We didn't want to be celebrating in a plane if we could help it, so we extended our trip a day, and planned a fun sailing trip instead. Originally we had wanted to sail to the Marieta Islands. You've probably seen the pictures of this one. It's basically a giant rock with a hole in it, and a beach inside. (It's also known as lovers cove, and the Mexican Galapagos. In the summer of 2016, Mexico closed the island for a month, because of environmental damage to the coral reef. After reopening it, they placed many restrictions on the area, limiting the number of people in groups, and closing it two days a week. 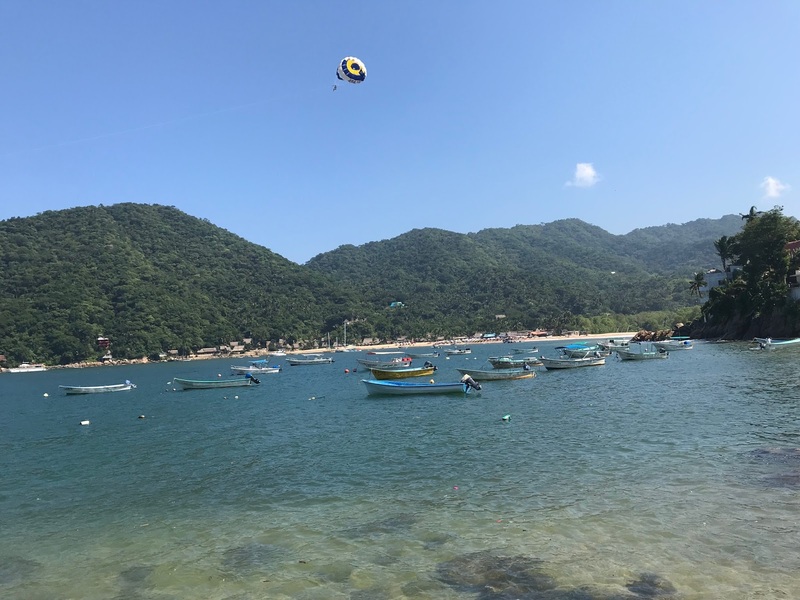 Because of all this, we ended up changing our destination, and going to Yelapa instead. We had to get to the boat pretty early, but they had a nice breakfast there waiting for us. 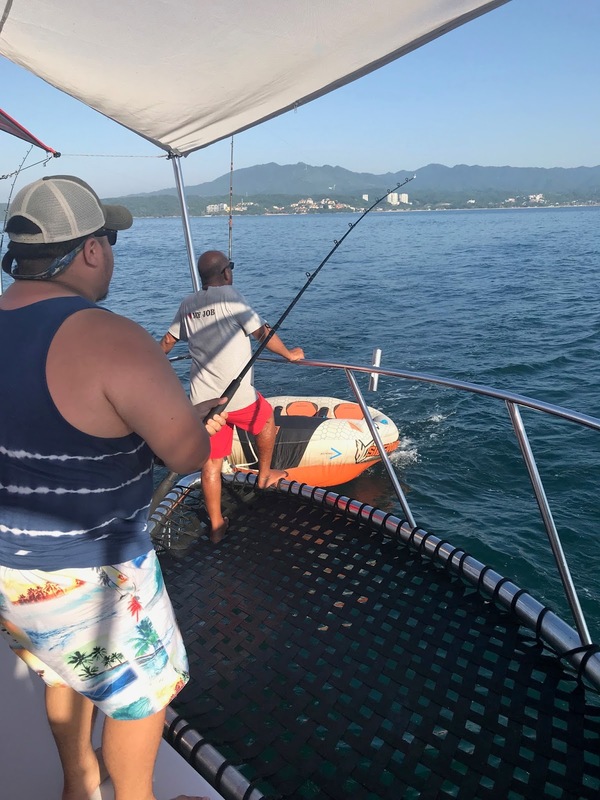 On our way to Yelapa, Chris got to reel in a nice little tuna! We spent most of our time lounging on the front of the boat. 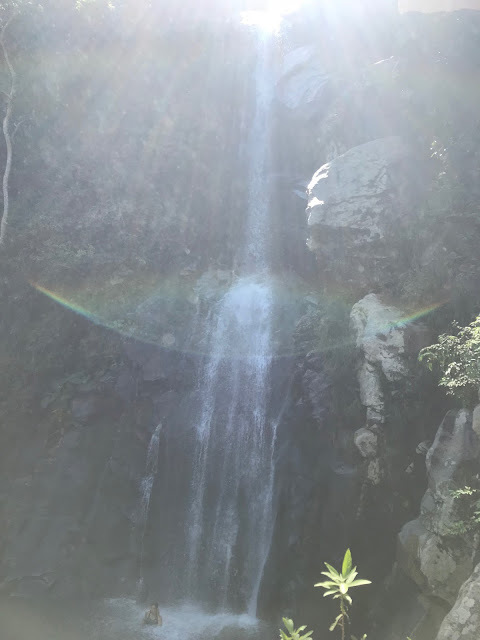 Once we made it to Yelapa, we got off the boat and headed to the waterfalls. Pictures cant even begin to do this place justice. It was absolutely incredible. 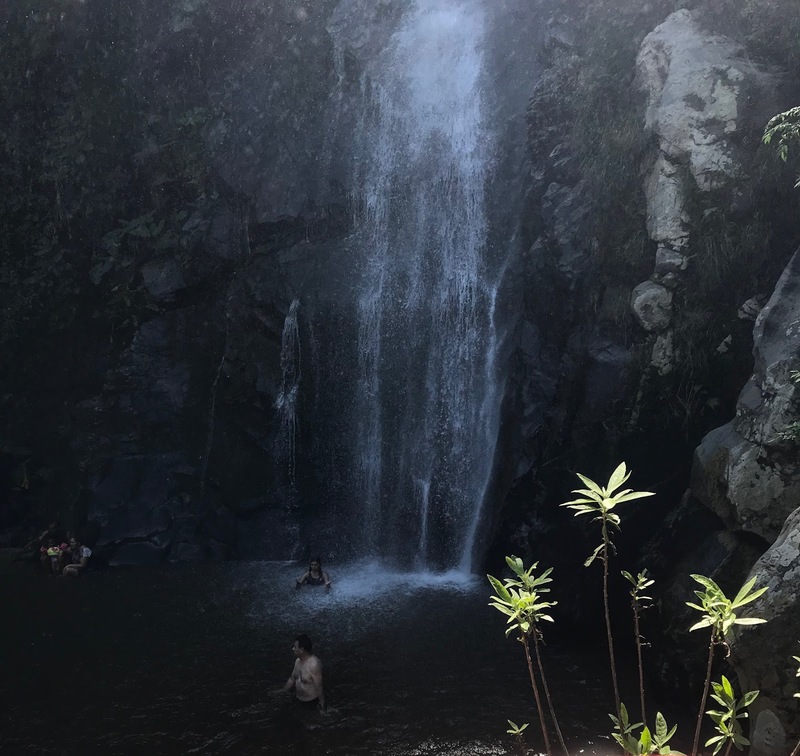 The water was freezing but we went in anyway and got right up under that waterfall. It was such a cool experience. Once we got back to the beach we had some time to kill, so we landed here. 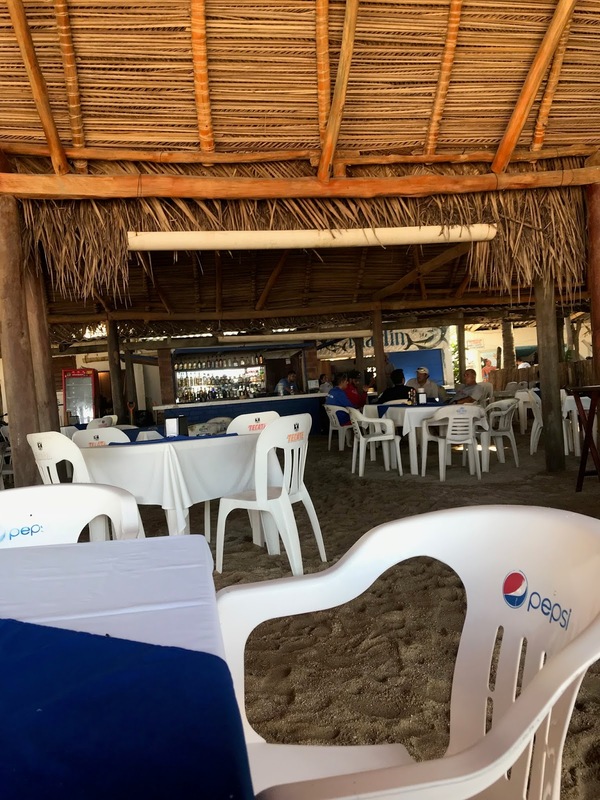 I don't remember the name of this place, but it's pretty much the only place there is to eat on the beach. 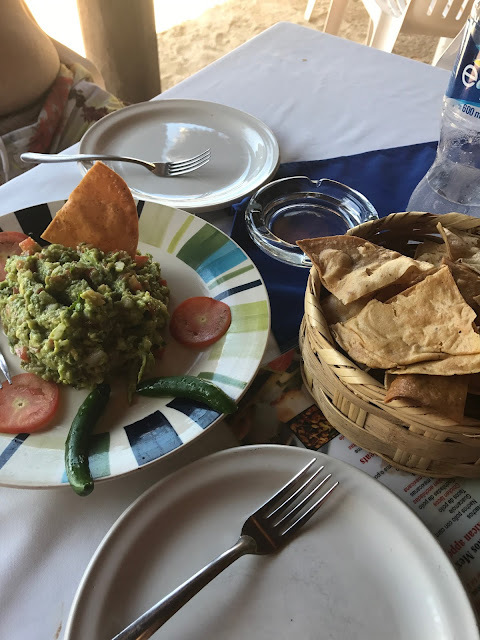 We had a fresh coconut drink and of course, guacamole! 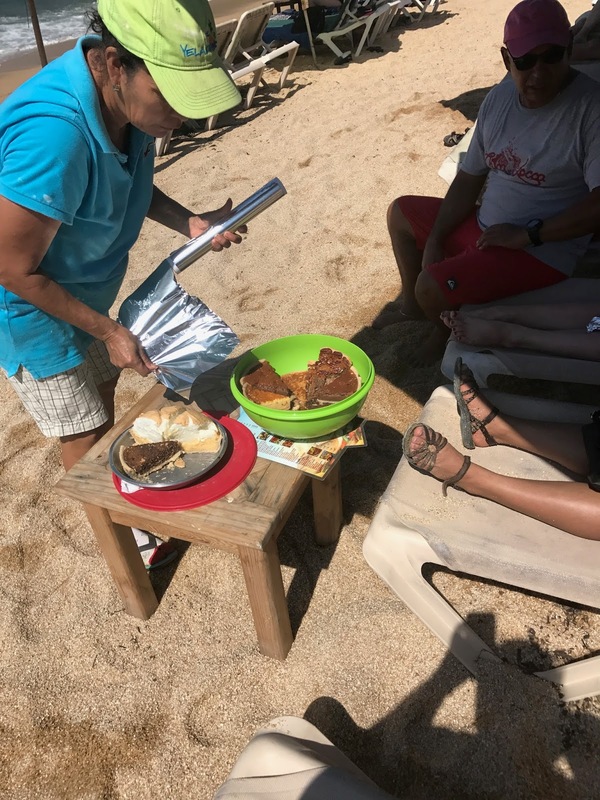 We kept hearing from people about the lady that sold pie on the beach, and how incredible it was. We didn't know it then, but this is kind of their "claim to fame." 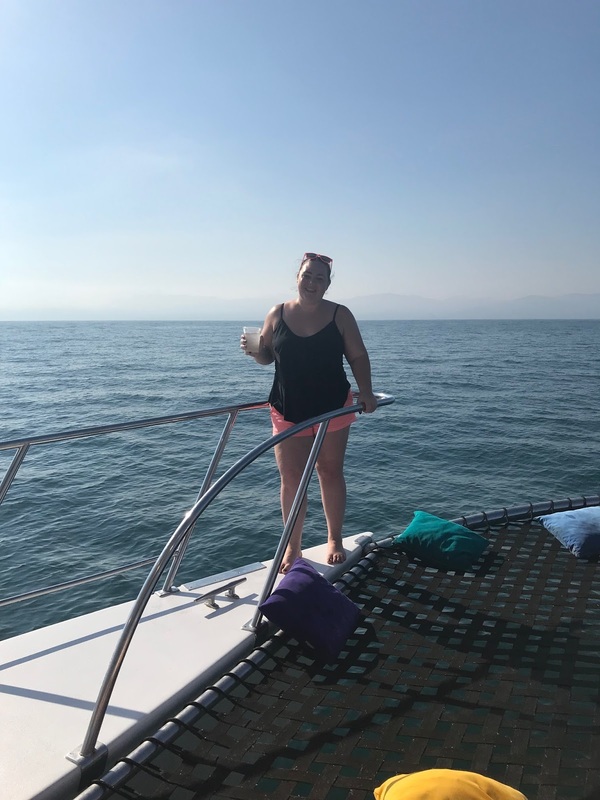 We got lucky and she wandered up right as we were leaving to get back on the boat. 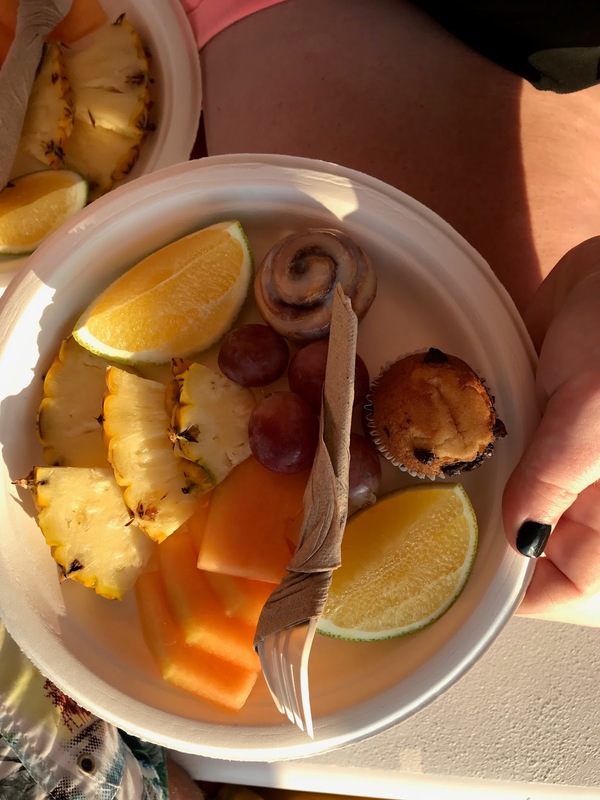 I bet you cant say you've eaten pie on the beach before. That pie was good, y'all. 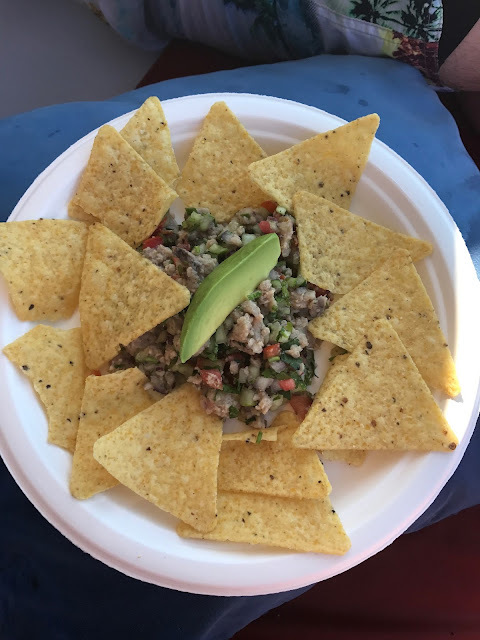 They made ceviche with the tuna that Chris caught and we all got to enjoy it! This is on the list of something I would never eat, but I did anyway, and it was surprisingly good! 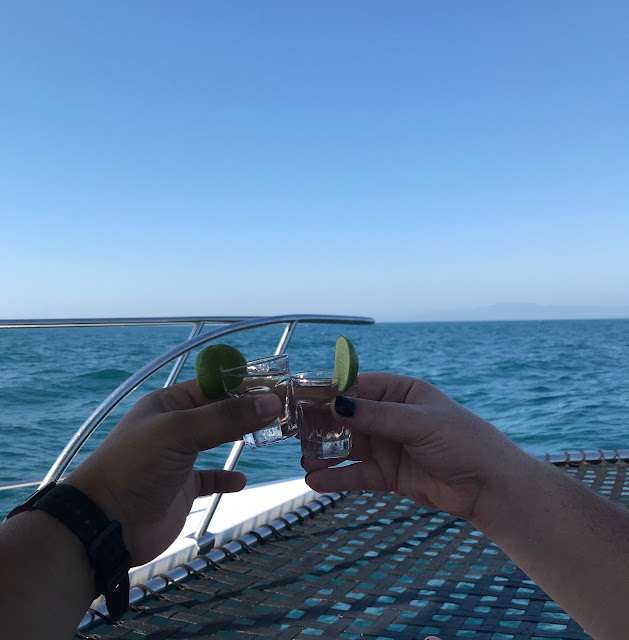 We finished the boat ride with a cheers to two years of adventuring as husband and wife, and a shot of tequila, because, when in Mexico.. When we finally got back to town, we had a couple hours of daylight left, so we did some last minute shopping. This was my favorite street, but really all of the streets were so colorful like this. We finished the night with an anniversary dinner on the beach. It was such a great day, but we were so exhausted we couldn't do anything else. 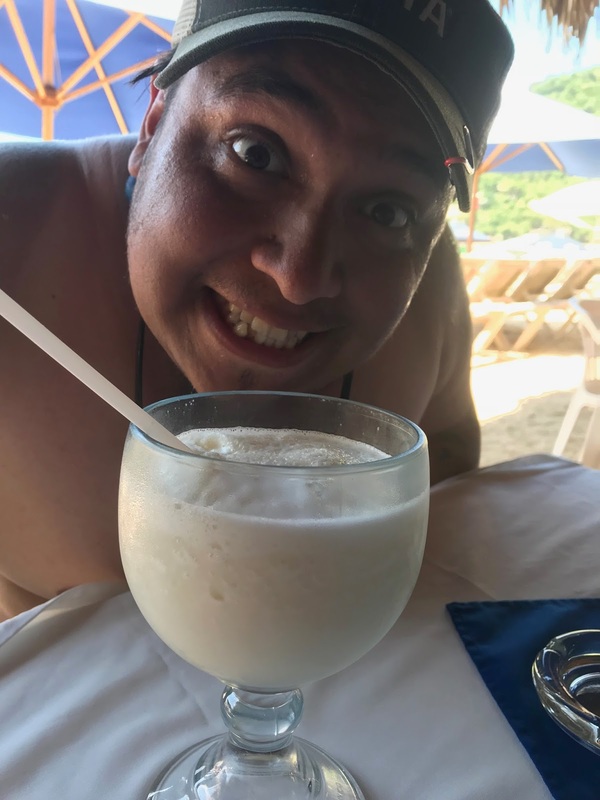 We had such a great time in Mexico. We loved Sayulita, and Yelapa, and I would one thousand percent recommend traveling to both if you ever get the chance! 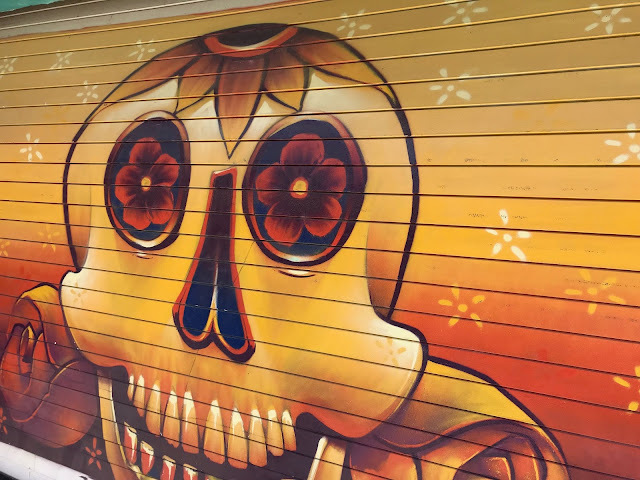 If you're headed there, shoot me an email so I can give you all of my recommendations!